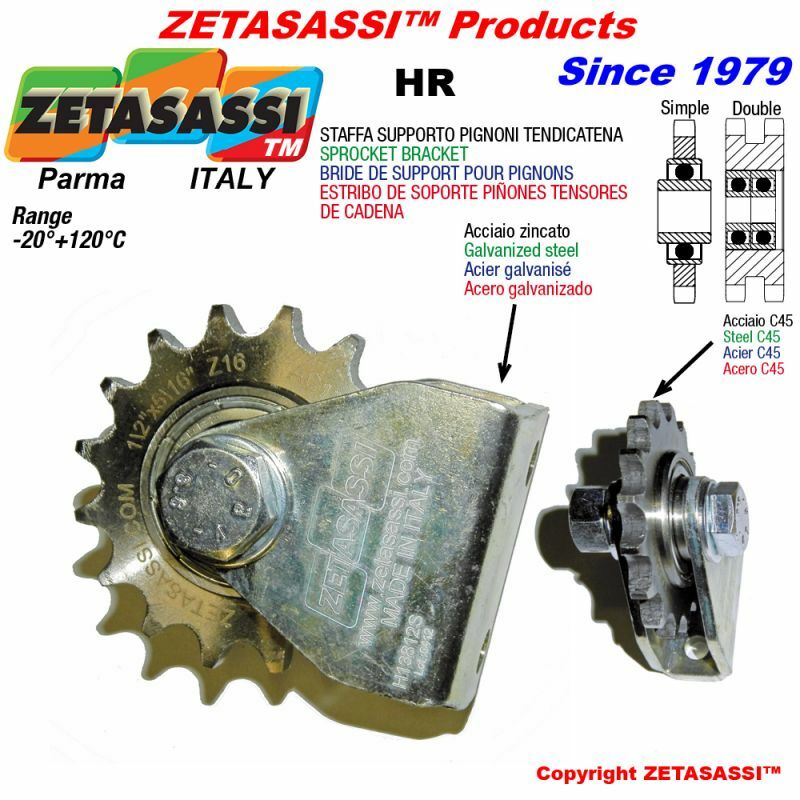 They support simple and double chain sprockets and are available with the sprocket set up. They are economic, strong and easy to be set up so you can avoid other solutions . This new bracket can be used in many applications and your can find it in our linear automatic chain tensioners type ETH and ETHR. 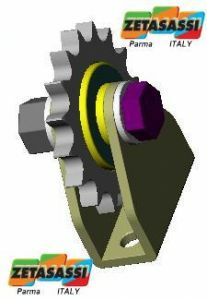 The shape avoids any type of twisting so the sprocket keeps its position. The sprocket itself and the chain last longer. 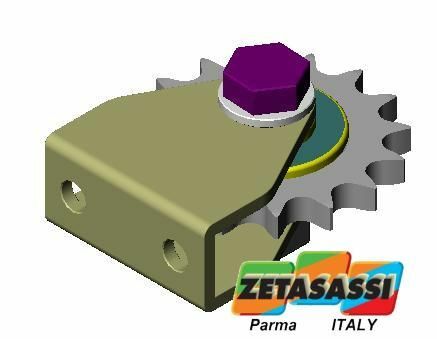 By this way you can avoid extra maintenance linked to overloads or failures that can cause a pulley shift and damages to the machinery. They are made of zinc-coated steel and on demand they can be sold separately and made of stainless steel. 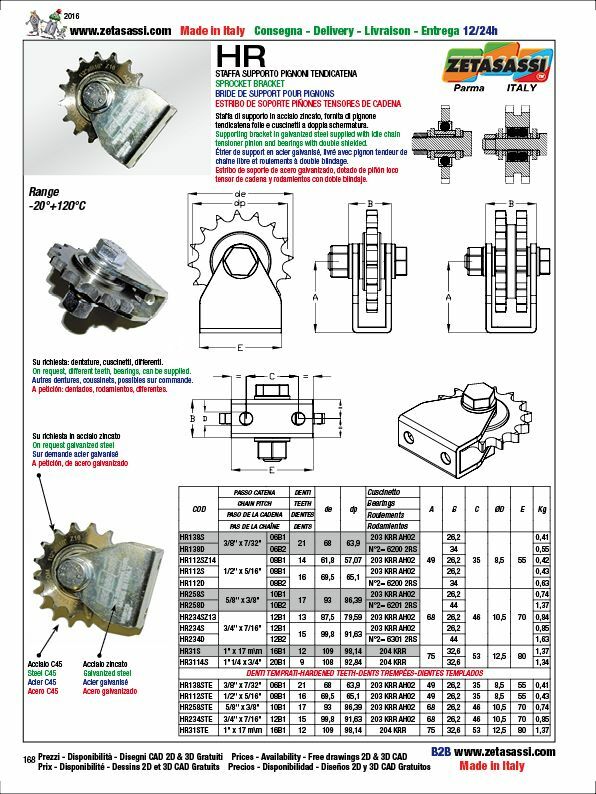 The type HRTE has hardened teeth sprockets and it is only for simple chain. Our ABS brackets are a good support for our tensioners. 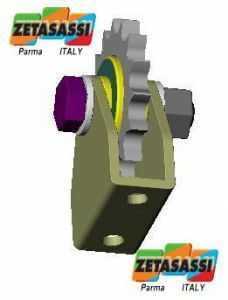 They are available with screws to set up the tensioner in the right way.They are made of zinc-coated steel, their shape blocks twisting so the tensioner keeps the right position . These brackets are made to support our belt tensioner rollers type PU. They are available with the double shielding bearing pulley. They are set up one by one to check the proper sliding of the bearing. 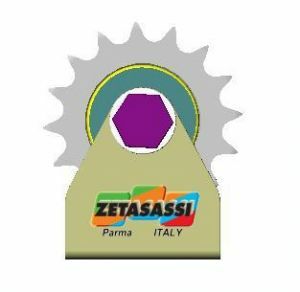 They support simple and double chain sprockets and are available with the sprocket set up. They are economic, strong and easy to be set up so you can avoid other solutions . SPROCKETS KIT with bearings RS-RD-RT Including spacer, nut and bolt. There is the plate wheel and the double shielding bearing set up in the centre. Ready for the set up in particular tensioning points or return.For chain 3\8 06B z15- 1\2" 08B z15- 5\8" 10B z15- 3\4" 12B z15- 1" 16B z13, simple, double, triple. KIT for sprockets AC-ACTE They include a galvanized steel screw and a machined spacer.